Tampons shouldn't be tax free. They should be covered by food stamps and Medicaid. Tampons Shouldn’t Be Tax Free. They Should Be Covered by Food Stamps and Medicaid. 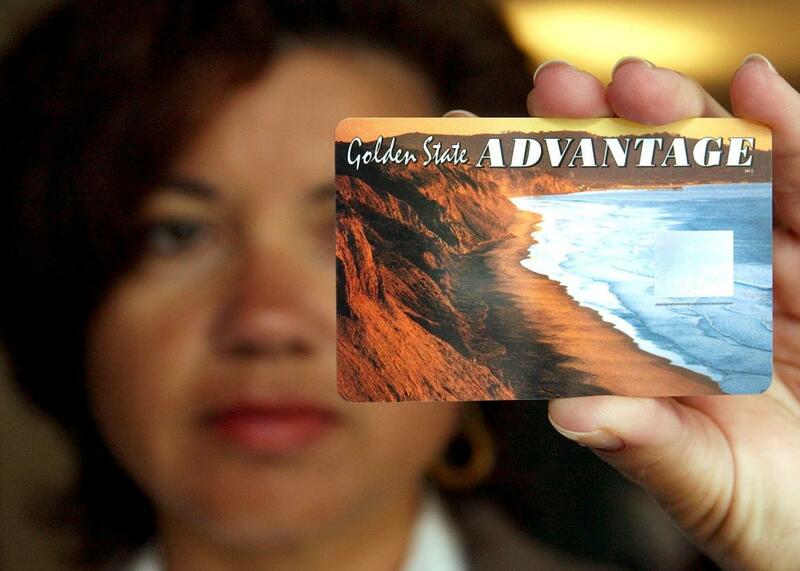 A woman holds a California State Electronic Benefit Transfer card in 2002. Arguments against the tampon tax practically make themselves. Since necessities make up a larger proportion of poor folks’ spending, sales taxes can be considered regressive; they make it even harder for people in poverty to eke out a comfortable, dignified living. And inconsistencies in state tax codes abound: Some states, like Connecticut and North Dakota, don’t tax pads meant for incontinency, but still tax pads meant for periods. (The former, but not the latter, are classified as medical goods.) The idea that tampons and pads are not “necessities”—a category that includes mustard, food coloring, and Fruit Rollups in New York—may be a relic from the days before tampons and disposable pads, when most women used washable strips of cloth to absorb their menstrual fluid. Few women continue along that route today. Periods involve bodily fluids, which carry implications for public health and sanitation. If that’s not a medical need, what is it? In a Washington Post opinion column, Catherine Rampell pointed out that ending the tax on tampons isn’t a particularly efficient way of helping poor people who menstruate, since it gives “a break to billionaires” who menstruate as well. Instead of carving item-specific exemptions from the sales tax, she wrote, states should just give more cash to the poor. This argument might not sway tampon-tax advocates who care more about helping poor women afford necessary products than about milking billionaires for a few cents each month (especially if states can make up for the lost tampon-tax revenue with increased demands on those billionaires). But Rampell’s right—a direct cash transfer would be a better way to address the unfairness of the sales tax on menstrual products. For poor people, menstrual products shouldn’t just be tax-free—they should be free, period. Some advocates have drawn comparisons to products men use—condoms , Viagra—that aren’t taxed, as an argument for a tampon exemption from the sales tax. But neither condoms nor Viagra are essential to hygiene or part of an involuntary biological function; menstrual products should be even easier to obtain. The tax on tampons and their exclusion from Medicaid and food stamp programs are a double burden on people who face other economic barriers: women with dependent, menstruating daughters, for instance, and lesbian couples, who require twice as many menstrual products and are twice as likely as straight couples to depend on food stamps. Defeating the tampon tax will be an undeniable symbolic win for women and people in poverty with nominal per-person effects. In the best-case scenario, it’ll codify tampons as a medical necessity, which will pave the way for Medicaid-covered menstrual products in the future. In the worst case, this nominal success will be a distraction from more systemic solutions, an excuse for conservative legislators to further ignore the brutal indignities of economic insecurity.